In the last installment, we discussed how America used to be extremely similar to the Acts 2 culture Peter addressed on the day of Pentecost (if you missed part 2, be sure to check it out and get caught up). But things have indeed changed. We are no longer an Acts 2 culture; there can be little doubt that we have transitioned to an Acts 17 culture. In Acts 17 Paul is preaching to the Greeks. When he initially preached the gospel to them their response was, “What does this babbler want to say?” ( Acts 17:18 ). 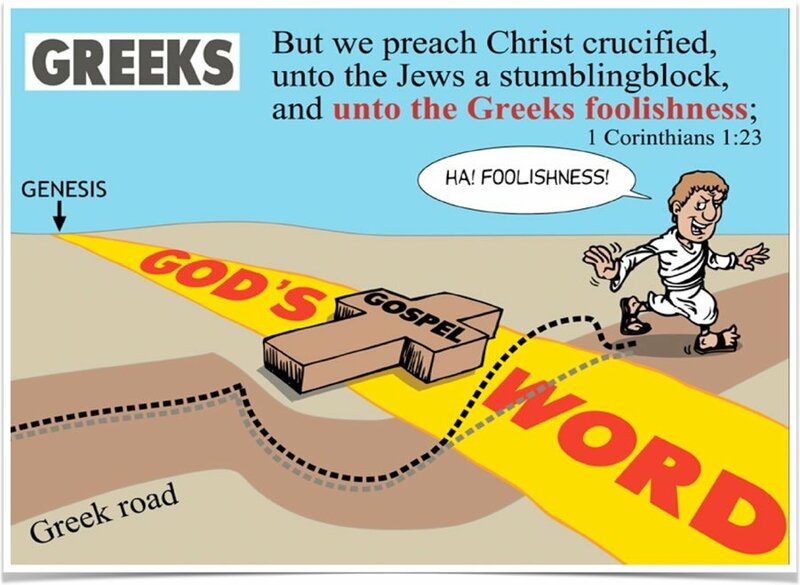 Remember 1 Corinthians 1:23 , to the Jews the gospel was a “stumbling block” and to the Greeks it was “foolishness.” But why was it foolishness to the Greeks? Well, the Greeks believed in many gods and the gods evolved. Morality was relative and death a natural part of life and change. You see, the Greeks had an entirely different foundation, so they did not understand the terms Paul was using. When Paul said “God,” they were likely thinking, Which god, Paul? We’ve got a whole bunch of them. When he used words like sin and death, they were probably thinking, What is sin? How do you define right and wrong? Death isn’t an enemy; it’s been around since time began. The Greeks had a completely different starting point, a different worldview, which put them on a different road that does not lead up to the message of the Cross. Thus to the Greek, the Cross is foolishness. If you want the Greek to understand the gospel, you’ve got to get him off the wrong road and equip him with a new starting point. You’ve got to give him the right history and foundation, which will put him on the right road that will lead to an understanding of the Cross. That’s exactly what Paul did the next time around when he spoke to the Greeks at the Areopagus. He goes back to the beginning, to that history in Genesis, and defines God as the Creator God ( Acts 17:24–25 ). He continues by telling them that all nations are of “one blood” ( Acts 17:26 ). We are all descendants of Adam, which is why we are all sinners in need of saving by the Last Adam. After laying this foundation and giving them the right starting point, then he presents the Acts 2 message, the message of the Cross and the Resurrection ( Acts 17:30–31 ). Notice what happens this time around: “some mocked . . . others said we’ll hear you again . . . and some joined him and believed” ( Acts 17:32–34 )! Now some argue that Paul wasn’t that successful, especially compared to Peter in Acts 2. But Peter was preaching to an entirely different audience. Paul was preaching to educated pagans and some believed! If you presented the gospel to a group of atheist professors at Berkley University and some converted, would that not be a success? From a big picture perspective, Paul was speaking to a group of people who had the wrong foundation, so before he could do anything else, he had to get rid of the wrong foundation and replace it with the right one. Using the terms Jews and Greeks as types, Paul had to turn “Greeks” into “Jews.” He had to “de-greekize” them (a made-up but effective word). From a human perspective, it’s a lot more work and requires a different process. To the honest observer, the “Acts 2” America has given way and been transformed into an “Acts 17” America. We’ve had whole generations brought up in a “Greek” culture devoid of the knowledge of the true God. Like the Greeks Paul addressed in Acts 17, generations today believe in evolution, many gods, multiple paths to heaven, and relative morality. We preach the gospel to them and it is foolishness. Why? Because they’re “Greeks,” and we keep approaching them as if they are “Jews”— and we wonder why we are losing them! To share the gospel effectively in our culture today, we must understand who we are dealing with. 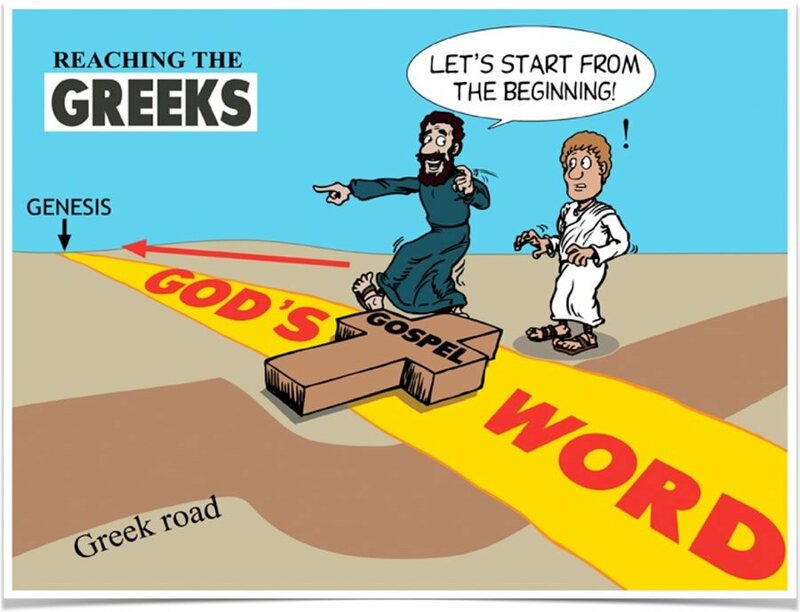 We must equip ourselves and coming generations with the apologetics we need to be about the business of “de-greekizing.” Get the “Greeks” off the wrong road, give them the right starting point, and lay that foundation that leads to an understanding of the gospel! Let’s get out there and “de-greekize”! Previous Article Do You Know Who You Are Dealing With? Part 2 Next Article I’m So Tired of Hearing About . . .